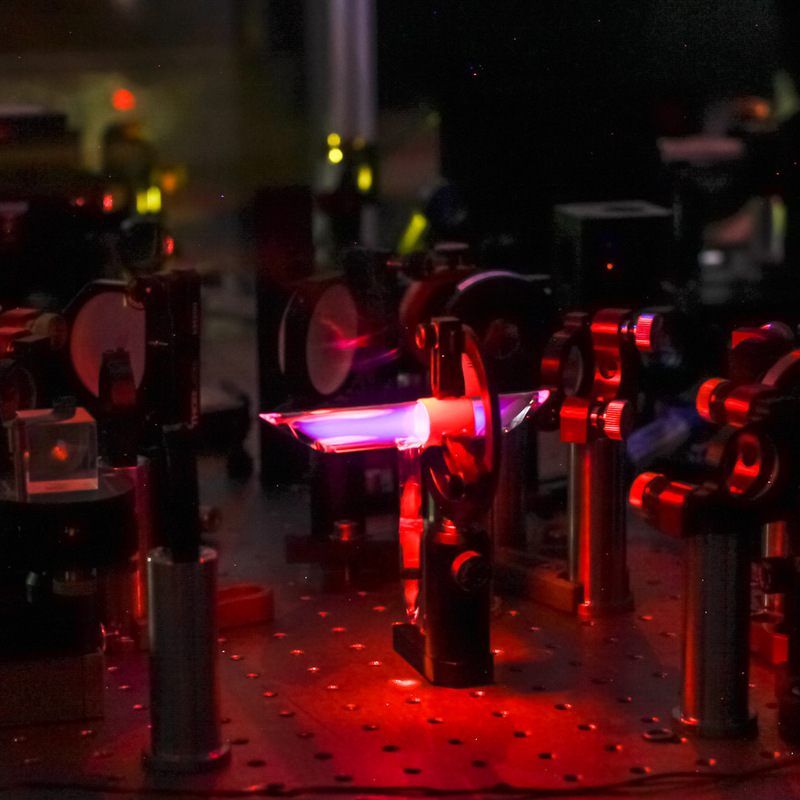 Physicists of the Kastler Brossel Laboratory (ENS/CNRS/SU/CdF) developed a new experimental platform to investigate on “liquid light”, a phenomenon in which light propagates like a superfluid. 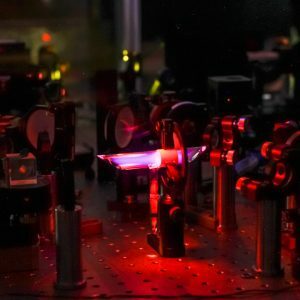 This platform uses an atomic vapor, and unlike previous work on solid state systems, it would be possible to insert physical obstacles to directly measure the forces exerted by light. Picture of they experimental platform to study the propagation of “liquid light” in atomic vapors. The interaction between a laser beam and a nonlinear optical medium creates a wave that intimately mixes light and matter excitations. This wave propagates like a superfluid, hence the name of “liquid light” which has become a very active subject of research in recent years. If researchers are now able to characterize the propagation of this fluid, they still lack a direct proof of its “superfluid” behavior that would show that the force it exerts on an obstacle is zero. This difficulty – inherent in experiments using solid state systems – has been overcome by LKB physicists in a study published in Physical Review Letters. that is, the rate at which elementary excitations propagate. The dispersion relation goes from a linear to a quadratic regime when the wave vector increases. This type of dispersion, known as the Bogoliubov dispersion relation, is found in different physical systems, from Bose-Einstein condensates to superfluid helium. Dispersion relation of waves propagating in “liquid light”. This result is not fortuitous since analogous equations describe the temporal dynamics of a Bose-Einstein condensate and the propagation of light in a nonlinear medium. This new platform should allow to insert physical obstacles in the flow to measure the forces that are exerted on these obstacles. These results pave the way for multiple applications including the ability to directly measure the forces exerted by liquid light on defects and to test the “superfluid” nature of its propagation. Publication : Observation of the Bogoliubov Dispersion in a Fluid of Light, Q. Fontaine, T.
Bienaimé, S. Pigeon, E. Giacobino, A. Bramati, and Q. Glorieux, Phys. Rev. Lett. 121, 183604 (2018).